Custom ornamental iron Stair Railing. 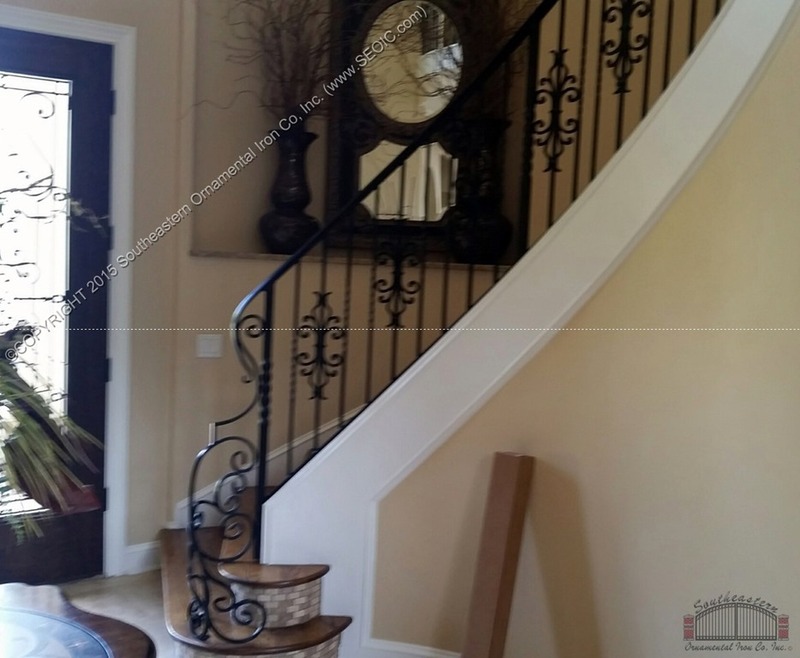 This wrought iron stair rail was built to fit radius “knee wall” style staircase. These radius staircases are also refered to as winder stairs. Knee wall simply means that there isn’t ny open treads. by: Southeastern Ornamental Iron Co.